You can see more of these great bronze sculptures in this brochure (pdf) of one of her exhibits at Dubai. Queen with three of the colony. 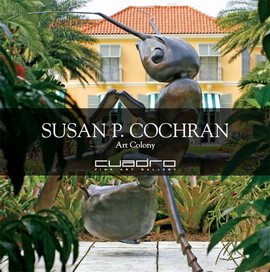 Sculptures by Susan P. Cochran.